Kirill Pokrovsky, the composer behind the soundtracks for Larian's Divinity RPGs including the award-winning Divinity: Original Sin, has died. Larian Studios reported his passing in a Kickstarter update posted earlier today. Mobygames credits Pokrovsky with scoring The L.E.D. Wars, Eat This, and KetnetKick, and he also released a number of solo albums, unrelated to games. But it was his work on the Divinity franchise, beginning in 2002 with Divine Divinity and carrying on through every other game in the series, that brought him his greatest fame among gamers. In April 2013, he livestreamed a 30-minute concert to support the Divinity: Original Sin Kickstarter. "Thank you for all the gifts you’ve given us. We each have our own Kirill story and many of us have Kirill presents on their desks. All of them demonstrate how rich a person you were," Larian wrote in the update. "We’ve all hummed your music and we have marvelled at how far your virtuosity went. You were truly somebody unique, a true artist, and we were very lucky to have you as a colleague." 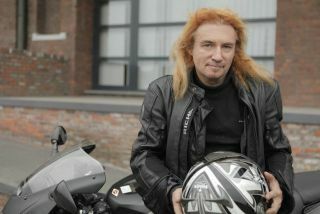 A photo album tribute to Pokrovsky, who was just 53 years old, has been posted to Larian's Facebook page. The cause of his death has not been released.